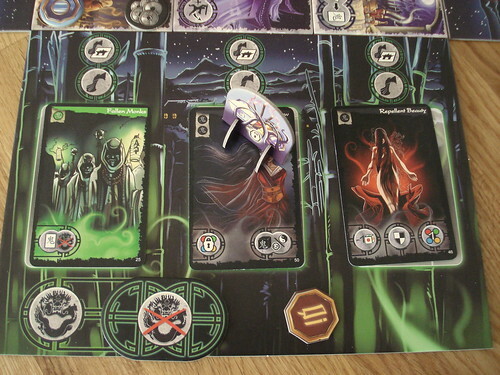 Ghost Stories uses a rich symbolic language for everything: the symbols at the bottom of the ghost cards indicate what they do when they enter the game (left), on each turn (middle) and when they are exorcised (right). 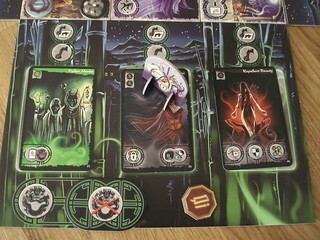 Also in this picture: Green has only one point of Qi left and three ghosts on his board. Things are looking grim indeed.